Because of our unique focus on construction disputes, Bachara Construction Law Group frequently engages in some of the industry’s most challenging cases. This keeps us on the cutting edge with new issues in construction litigation, and it has earned us a reputation for professionalism and effectiveness, along with many referrals. We are honored by the various forms of professional and peer recognition we have earned. But the best measure of our success is the longevity of our client relationships and the frequency with which clients return to us for representation. Chip Bachara is Board Certified in Construction Law by The Florida Bar. 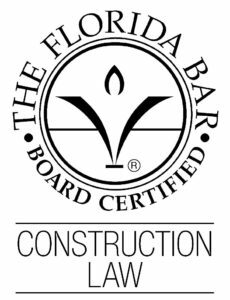 Board certification is The Florida Bar’s highest level of recognition of the expertise and experience of attorneys in construction law, and Chip was a member of their inaugural Construction Law Board Certification class in 2005. Of the more than 101,000 members of The Florida Bar, only 356 were Board Certified in Construction Law as of 2016. In order to become Board Certified in Construction Law in the State of Florida, a lawyer must have significant experience in this practice area, be favorably rated by their peers, and pass a rigorous examination demonstrating knowledge, skills and proficiency in the field of construction law. Both of our partners –Chip Bachara and Tracy Valente – have earned an “AV Preeminent” rating from Martindale-Hubbell, the oldest legal directory in the United States. “AV Preeminent” is the highest designation available. Their peer reviews may be viewed on the Martindale-Hubbell website and Lawyers.com. On multiple occasions, Chip Bachara has been recognized by The Best Lawyers in America®, published by Woodward/White, Inc., in the category of construction litigation. The “Best Lawyers in America” designation is based upon peer review and selection and is limited to the top one percent of lawyers in their respective fields. Chip was recently recognized in Best Lawyers as Jacksonville’s 2019 Lawyer of the Year for construction law, the third time he’s received the honor. 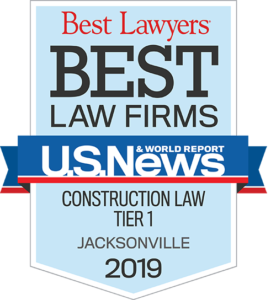 And Bachara Construction Law Group has been recognized multiple times as one of the Top Law Firms in Jacksonville in the fields of construction law and construction litigation. In 2016, BCLG’s founding partner Chip Bachara was named to the inaugural class of “Ultimate Attorneys” by the Jacksonville Business Journal. The award, for those who have “elevated the legal profession and helped shape Jacksonville’s business community,” was instituted to recognize the First Coast’s top lawyers. Honorees were selected by the local legal community from a pool of candidates suggested by their peers. Both Chip and Tracey have been recognized by Florida Trend Magazine as members of the “Florida Legal Elite,” and Chip has been recognized multiple times in the category of Construction Law. Selection for this publication is determined through ballots asking lawyers to name other lawyers whom they hold in high regard or would recommend to others. After tabulating the results, approximately 2% of The Florida Bar members are selected to be included in the publication. Chip has been named a “Florida Super Lawyer” every year since the inception of this designation in 2006. 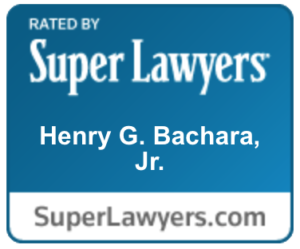 Florida Super Lawyers is a peer review process sponsored by Law & Politics magazine, recognizing the top 5 percent of lawyers in a particular field.